Product categories of Waterproof Zipper, we are specialized manufacturers from China, Waterproof Zipper, Water Resistant Zipper suppliers/factory, wholesale high-quality products of Watertight Zipper R & D and manufacturing, we have the perfect after-sales service and technical support. Look forward to your cooperation! 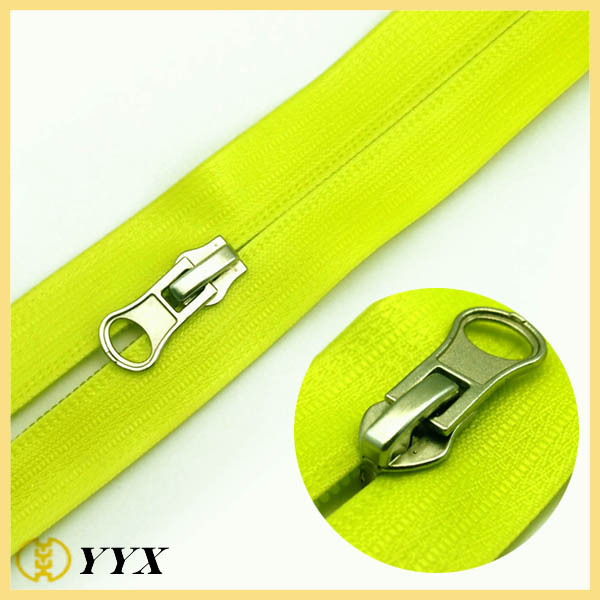 Waterproof Nylon Zipper fastener is a branch, and is the result of some special processing nylon Zipper. 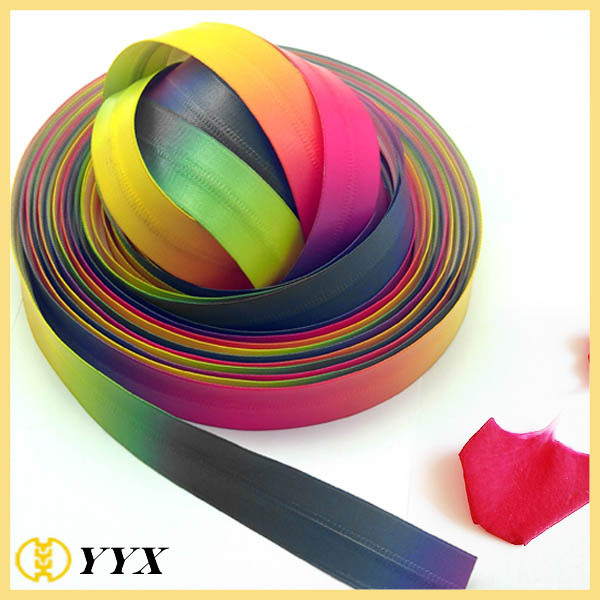 Common characteristics include handling means: stick PVC film, TPU film paste, soaked in water repellent coating waterproof zipper and so on. Main material paste PVC film waterproof zipper using PVC, the main ingredients of PVC. TPU film is a TPU aggregates, through special technology made the film. It inherited the TPU excellent physical properties, an extremely broad range of applications. Because TPU overcome many deficiencies of PVC, TPU waterproof zipper so also performance advantages over PVC waterproof zipper. Coating waterproof zipper feature is not falling, not white, not brittle, low temperature of minus 70 degrees Celsius, environmental protection, soft, waterproof. *RMA Policy:Any product defect, pls inform us within 30 days from the day receiving the goods. The main purpose is to waterproof zipper in the face of rainwater can play a waterproof function. Waterproof zippers are widely used, adapted to: winter clothes, ski clothing, down jacket, sailing suits, diving suits, tents, covers travel, raincoats, motorcycle raincoat, waterproof shoes, fire suits, bags, jacket, waterproof clothing, and other fishing-related campaign supplies . 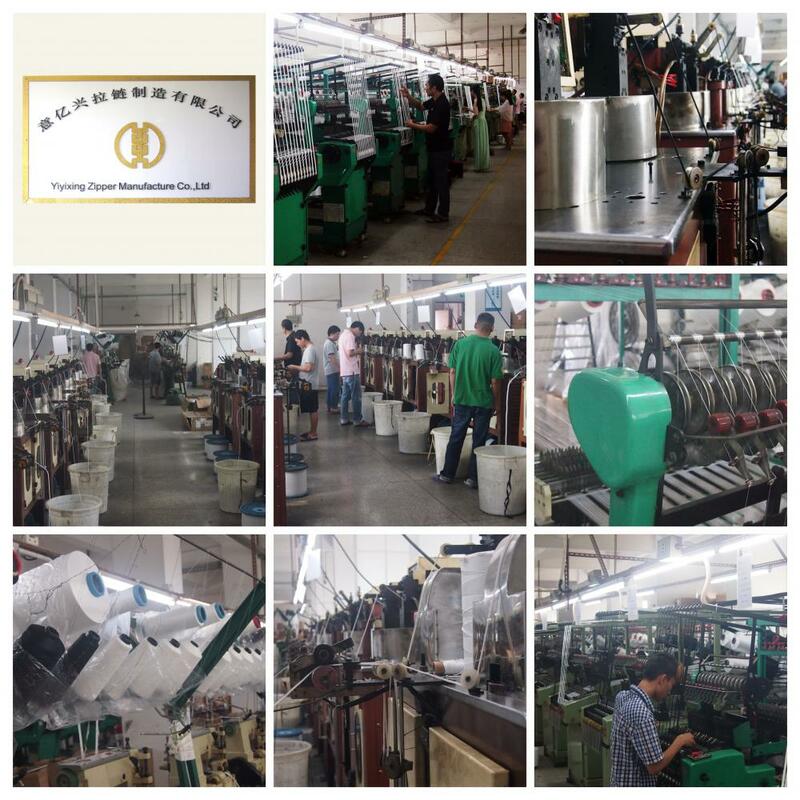 Shenzhen Yiyixing Zipper Manufacture Co., Ltd was founded in 1990. 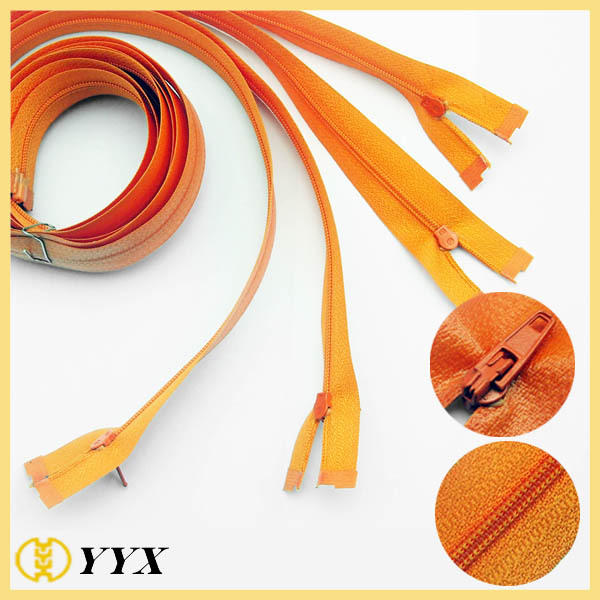 We are a professional manufacturer who is specialized in the R&D, production and marketing of various zippers, sliders and pullers, and alloy logo, metal buttons, buckles, lanyards etc. metal accessories, widely used for garments, shoes, handbags and luggage, tents and stationary production. Our main products are 3#, 4#, 5#, 8#, 10# Metal Zipper, Plastic Zipper, nylon zipper, Invisible Zipper, water-proof zipper and non-lock slider, auto-lock slider, semi-lock slider, double pullers and reversible slider, pin lock slider etc. With advanced production machines and experienced workers, our products are defect-free and highly appraised from our customers, such as POLO, JEANSWEST, YISHION, DAPHNE. 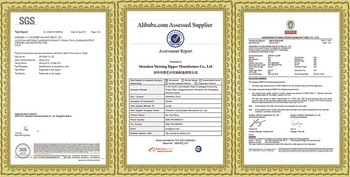 We are the Alibaba.com Assessed Supplier(Report No. : 7302706_P+T) and our zipper and slider pass SGS test report. Our tenet is Quality First, Customer Uppermost, On-time Delivery, Considerate Service". Welcome your inquiry any time! Q1. What's your best price for this zipper ? Q2. What's your MOQ? Can I mix styles and colors?